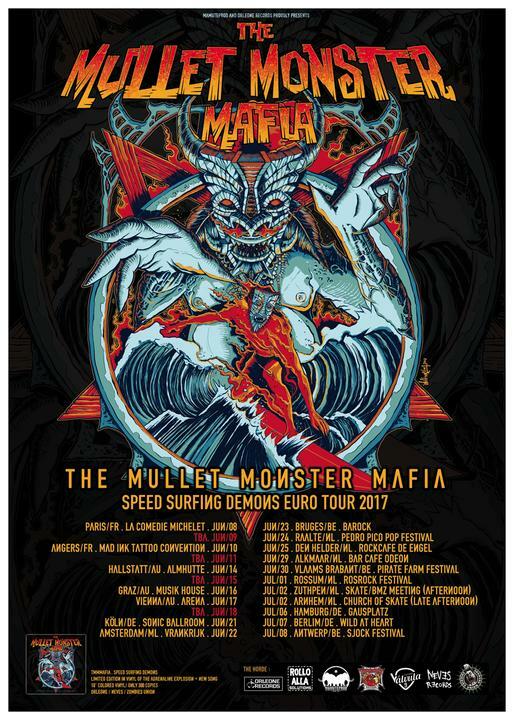 SurfGuitar101.com | News: Stories with tag: "mullet-monster-mafia"
To all our European friends, we're very proud to announce our return to Europe in the summer 2019. Soon we will post the first gigs confirmed. 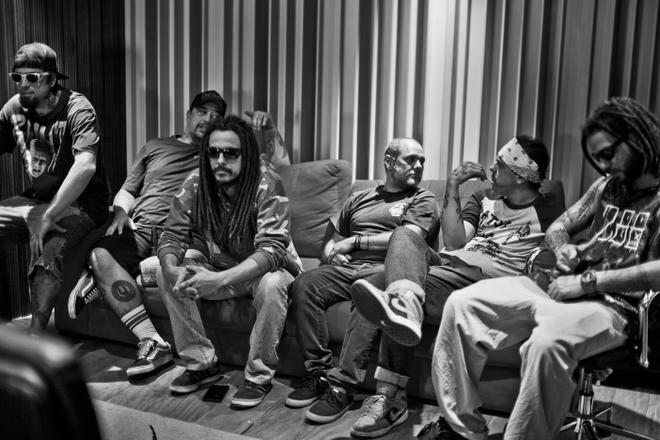 Online the live session who we recorded at the Lab Sound Studios (Piracicaba/Brasil), in the last July. 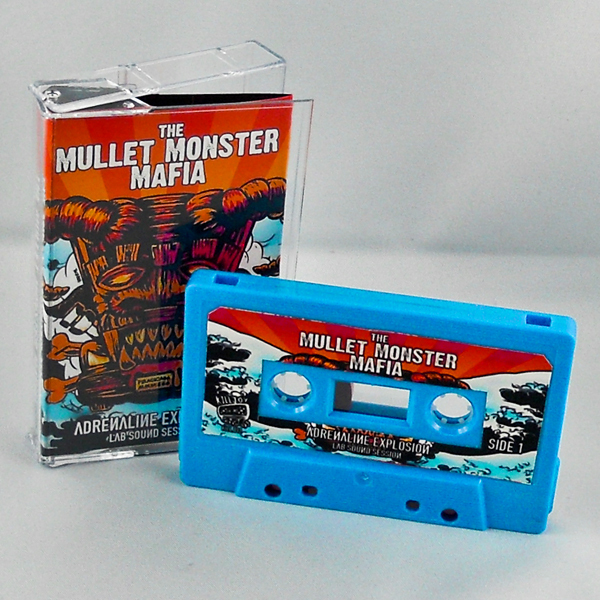 This is a new project with some friends, called THE MULLET MONSTER MAFIA & RED EYES ORCHESTRA. The idea is remake some songs of ours and play some versions from bands of we liked, in a way not so explosive and agressive as our regular style. Here we have 2 songs, FISHWATER CATAIA (our music) originally recorded at the Surf'n'Goat Ep in 2016, and As the Dark Evil Swells, a free version of a song of the kings of The Bambi Molesters from Croatia, one of the most amazing bands of the world for us. Hope you guys enjoyed. See you in Europe in the next summer. Next week we arrive in Europe for our 4th tour by the continent. Look at the dates and see you on the road. 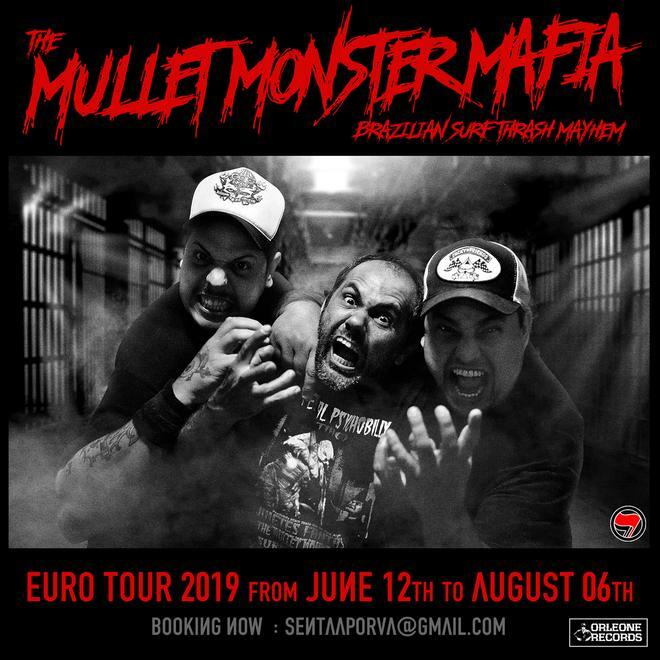 TMMMafia back to Europe this summer for a really nice tour between June 08th and July 09th. 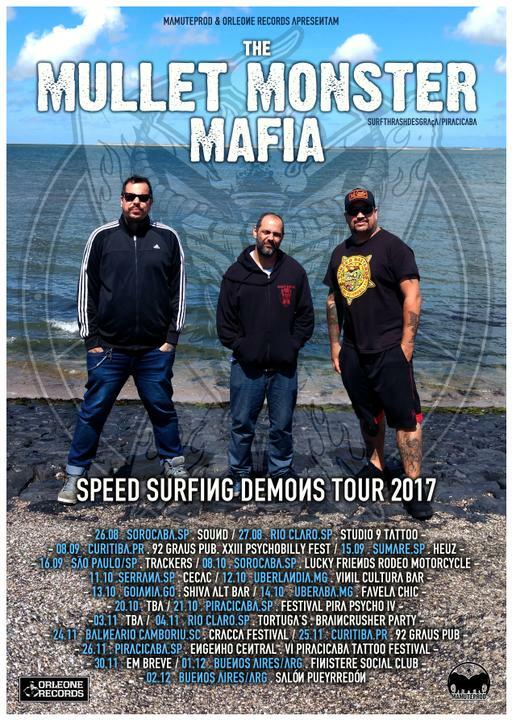 In this tour we will play in some Festivals and gigs promoting our last record, called Speed Surfing Demons, this is a limited edition in vinyl 10", version of the Adrenaline Explosion Live Session 2014 (released only in cd and tape) + a new song. We have a lot of gigs booked but still looking for gigs in June 09th and 11th in France, June 15th in Austria (or near by) and June 18th in Germany (In the triangle between Munich / Nuremberg / Stuttgart). 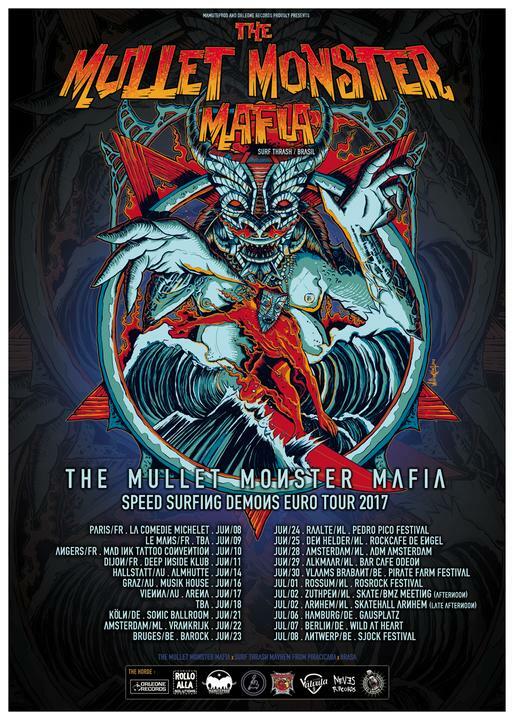 Below is the first poster of the tour. If anyone can help us with these dates would be amazing. Thank you and see 'ya on the road. June 28th to July 16th. After the European tour we're back to the road, now in Brasil to promote our new 7" called SURF'N'GOAT. 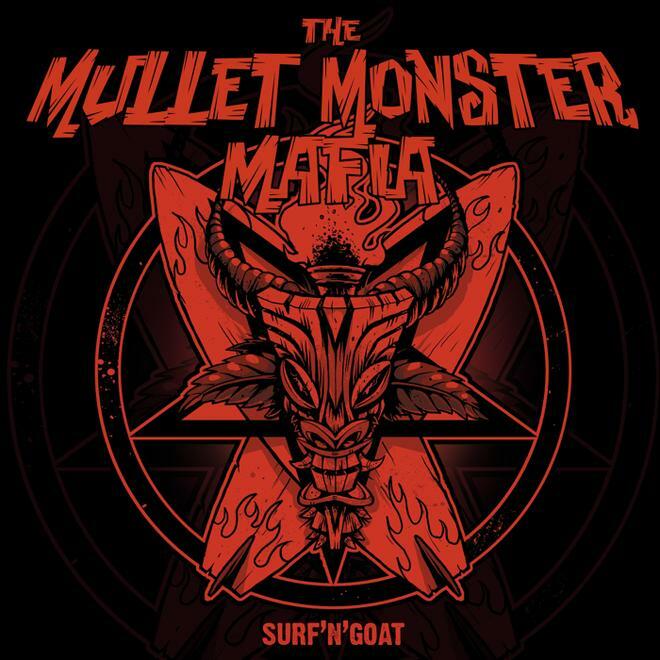 Our new EP "Surf'n'Goat" is available for streaming at Bandcamp. 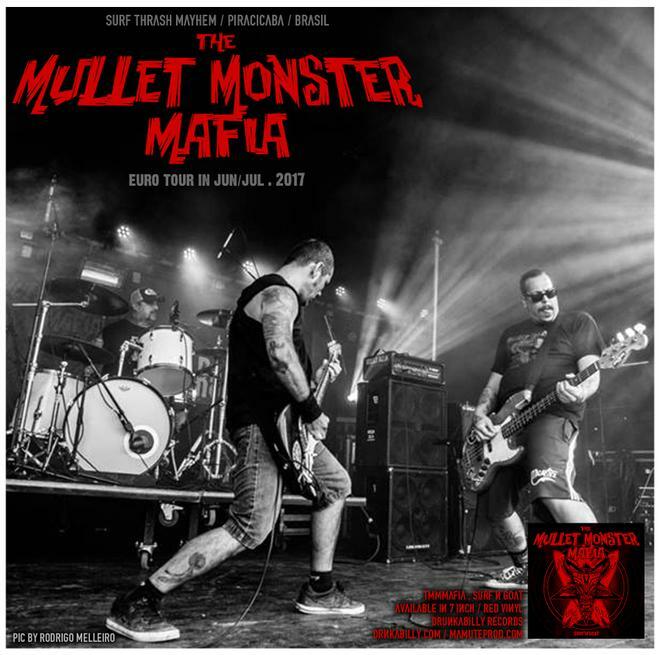 THE MULLET MONSTER MAFIA - Adrenaline Explosion MC is out now! 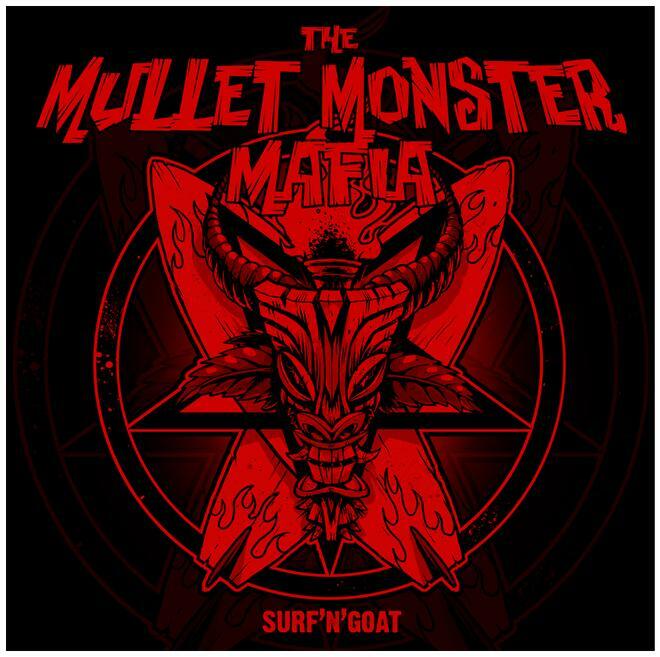 Here's our new EP SURF'N"GOAT artwork. The 7" will be released in Europe by Drunkabilly Records from Belgium. The street date is June/14 and we'll be touring through the old continent from June/14th to July/04th. It's 4 new intense and loud SURFTHRASHMAYHEM songs!!! The artwork was done by the Canadian artist Felix la Flemme, and all the layout was done by the band. See y'all soon on the road!! !